Is The Legend of Zelda: A Link Between Worlds really all that amazing? 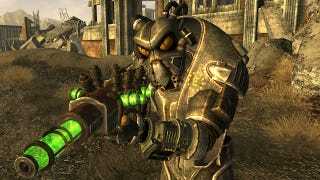 When will we actually see a Fallout 4 announcement? Are we suffering from a glut of lawyer simulators? It's been a long three months since our last podcast, but Kirk and I are back for a quick talk about what we've been playing this year. We're planning to do daily recordings this week while Kirk's at Gawker Media HQ, so stay tuned for a regular dose of next-gen chatter. Download the full podcast right here. Download the opening song right here.